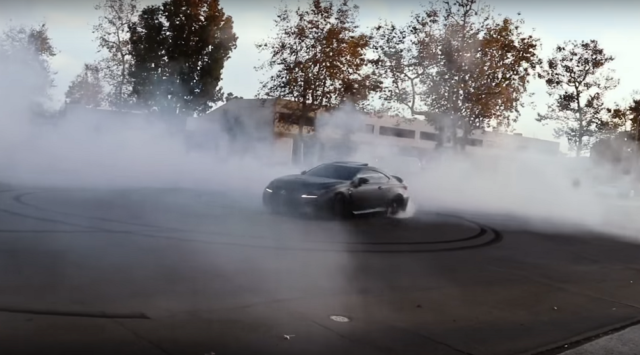 Donuts, high-speed runs…this is like a real life Need for Speed with nothing but badass Lexus sedans! Breaking news, it’s not. But the lads at Car Throttle have just posted a new video starring the RC F, and it features a nice respectable burnout, plenty of 5.0L V8 engine noise, a brief cameo by a certain V10 supercar, and lots of glamour shots of the new Lexus sports coupe. It’s worth watching. What did you do to your LS430 today?